PhysiEx Hydrotherapy (or Aquatic Physiotherapy) is physiotherapy in a pool environment. We use the properties of the water and a variety of treatment approaches (including manual therapy and exercise) to address a wide range of conditions and therapeutic goals. The buoyancy in the pool can be used to assist or resist movement, which is not possible out of the water. The pool we use is heated to about 32 degrees to help warm up your muscles and facilitate your body’s movement. The Physiotherapist or Exercise Physiologist will prescribe and monitor a program of specific exercises or techniques to be performed in an individual session. An exercise class is also provided to increase muscle tone, range of motion and cardiovascular fitness. This may involve equipment such as pool noodles and weights. We use the facilities at Caboolture Swimming Pool on King Street, Caboolture. If you have been referred to aquatic physiotherapy by one of our therapists, please sign the register at the pool’s reception area. Any queries, please speak to one of our team. 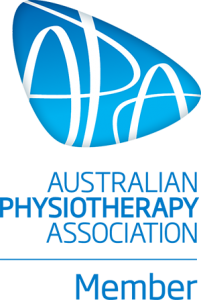 What do I need to bring to aquatic physiotherapy? * Class fee may be rebateable through your Health Insurance Fund. Caboolture Physical Therapy Centre – serving people in need from: Caboolture, Glasshouse Mountains, Sandstone Point, Beerburrum, Goodwin Beach, Bribie Island, Wamuran, Ningi, Banksia Beach, Kilcoy, Donnybrook, Beerwah, Burpengary, Beachmere, Toorbul, Morayfield, Elimbah, Bellara, Woodford, Bongaree & Woorim.